If you need no-nonsense reviews on the 10 best DSLR cameras for beginners, you’re in the right place. See, there are many Digital SLR (DSLR) cameras to choose from, but they’re not all equal. Who needs a DSLR Camera? Those who have outgrown their smartphone or other point-and-shoot camera with average snaps are candidates for a DSLR. What about you, are you set to take your photography up to a whole new level? What are DSLRs good for? With entry-level DSLRs you can expect to see significant improvements in the image quality of your photos. You also have all those manual options at your fingertips. By the way, that’s a good thing. Manual camera control gives you a whole new world of photographic opportunity and potential. These are things that just aren’t there with smartphones and most compact cameras. DSLRs also have plenty of auto modes to choose from. These are perfect for newbies just getting to grips with the workings of their beautiful new cameras. What to look for in an entry-level DSLR camera? Better image quality is probably your main reason for wanting an entry-level DSLR, but there’s more to consider. Do you want a decent range of compatible lenses and WiFi connectivity, as two examples? Once you have a good idea of the features you expect, it becomes much easier to narrow down your choices. Also think about any costly features you don’t need or won’t use as you assess your options. Confused? Don’t worry. As you read through this easy guide everything will start to make perfect sense. By the end of this page you’ll be in a better position to make well-informed decisions on your new Digital SLR entry-level camera. I have chosen my top 10 best Digital SLR cameras with great care. Nikon and Canon came out on top but they’re not the only contenders in this list. In the #1 slot is the famed Canon Rebel EOS T6i. You’re going to love what the T6i packs into a beginner DSLR. But then you may be more attracted to my second pick, the Nikon D3400—another worthy choice for entry-level. In third place is the Canon Rebel EOS SL1. You’ll soon see why these three occupy the top slots, but take your time. You still have seven other worthy cameras to consider. My advice is to read all. First off I have to say that the ergonomics and handling of the Canon EOS Rebel T6i are outstanding. Anyone who takes a lot of photos will tell you that the way a camera feels in the hand is a crucial point. The T6i looks as good as it performs. It’s a camera guaranteed to have any beginner fall in love with photography. It’s durable, reliable, and gorgeous—a perfect choice for people and sports shooting. You’ll love the camera’s articulating screen for composing those otherwise awkward shots. Other nice features for the beginner include the built-in WiFi and NFC connectivity. In a world obsessed with self-portraits you’ll be pleased to know the Canon T6i is a very selfie-friendly DSLR. There’s also a remote control option for smartphones to help keep your devices connected. The audio visual’s not bad, but if you want the best possible video as well as photos, you have other options. Even so, the max video resolution of 1080p still makes this beaut a great vlogging camera. There are plenty more reasons to love Canon’s EOS Rebel T6i if you’re new to Digital SLR photography. There are a few downsides too, and we’ll cover all the pros and cons in the detailed review below. To be honest, I had a hard time deciding the top slot between the Canon T61 and the Nikon D3400. It was the ergonomics of the Canon that finally swayed by decision, but only just. 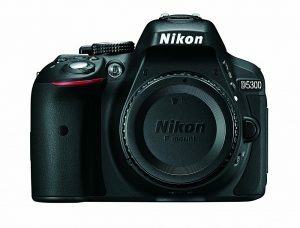 Nikon’s D3400 Digital SLR is an excellent choice of beginner camera. It’s perfect for anyone wanting to improve their photography skills and learn the workings of a versatile DSLR at their own pace. The image quality is second to none for a camera in this class and price range. The 1080/60p, full HD video is another feature that won’t disappoint beginners who want audiovisual options. I was particularly impressed with the D3400’s ‘Guide Mode’. This is a great feature for anyone at any level. But it’s an invaluable tool for entry-level photographers who still have much to learn. The camera’s improved battery life is phenomenal. This is a big deal considering many other DSLRs don’t even come close to the D3400’s impressive 1,200 shots per charge. The silent autofocus and Bluetooth connectivity are two more welcome features. People love the simple controls on this Nikon too. Easy handling is something you’ll appreciate the second this camera’s in your hands. If this intro has got your attention, then make sure you read the more comprehensive review further down the page. If you’re a beginner, this little camera is going to check a lot of the right boxes. 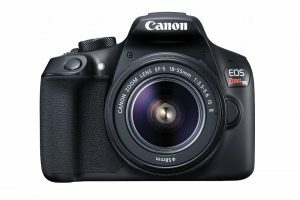 The third choice is the impressive Canon Rebel EOS SL1 DSLR. This is a tiny starter camera compared to a lot of other digital SLRs, but it’s not short on features, not considering its size. Canon first launched the SL1 back in 2013, but don’t let that put you off. This really is a very capable entry-level DSLR. It looks professional, it’s portable, and comes with a very affordable price tag. A large, high-resolution touchscreen dominates the camera’s back. There are some smart, streamlined physical controls too, designed in a way that helps to keep the camera compact and light. The light weigh, rugged build, compact size, and silent shutter make the Canon Rebel EOS SL1 a great little travel camera. However, the absence of environmental sealing means you have to take special care in harsh weather conditions. There are lots of reasons to choose the Canon Rebel EOS SL1 as a first DSLR camera, but it won’t suit everyone. Read my more comprehensive review below to see if this tiny camera checks your boxes. What to Look for in a Beginner DSLR Camera? Not all photographers have the same demands and expectations for their photographic needs. Likewise, not all cameras offer the same features, and that means there’s no one-size-fits all. Features aside, it’s also important to like the look and feel of a certain DSLR camera. That second point is the most important. Size, weight, and lens options are other important considerations. Tech specs can be daunting to the beginner, that’s for sure, but they’re not as complicated as they first seem. As you read through this guide you will find most of the camera specs are self-explanatory. First-timers who want a decent beginner Digital SLR are usually concerned about the price. However, it’s important that you don’t make the cost you’re only concern. There may be other features that are important to you, so note any down if they’re not on the list. Knowing what you want and what you can get for the money makes choosing a DSLR so much easier. I want to say something real quick about sensor size. Without getting too technical, bigger sensors collect more image data. That simply means they produce better images. You need a beginner’s camera that checks enough of your boxes. Try not to let bells and whistles influence your decision making. Ignore things that are not on your list and you have little or no use for. The more you spend on a Digital SLR the more you get, but here’s the thing: do you want or need the extras? It’s why I suggest you prepare a simple list of wants before you decide on any one model. All DSLR cameras have their strong and weak points, or pros and cons. Once you have an idea on the style of photography you want to pursue, you’ll soon come up with a quick shortlist of options. A pricier camera will be better, but your question is this: better for what? If it cost more because it has excellent 4K video resolution, but you’re not into video, then that would be a waste. Let’s say that action photography is your thing. In this case, you’ll want to spend as much as you can afford on a camera that has fast autofocus, many focus points, and sensor-based image stabilization. Sports and action photography need fast optics, super-fast shutter speeds, and a camera that’s easy to handle. A rugged body and weatherproof sealing are also important factors for outdoor shooting. DSLRs from $500 to $5000 – What’s the Difference? You’re at the entry level, so you’re not going to be looking for cameras in the high price range. Still, you’ll want to go with the best model that you can afford, based on your requirements. In short, the more you want, the more it’ll cost you. Don’t forget to include lenses in your budget too. And like cameras, not all lenses are equal, not in build, optical quality, or capability. If a camera checks all your boxes—feature wise—but is slightly out of budget, my advice is to wait a while. Believe me, it’s a false economy to invest in a DSLR that doesn’t deliver on what you need it to. It took a while, but I eventually came up with what I consider to be the 10 best Digital SLRs for beginners. I’ve done all the grunt work and sifted through consumer criticisms so don’t have to. I’ve read countless reviews and product rankings around the web before making my final assessments. The end result is a no-nonsense, easy-to-follow guide that’ll help you to make the best decisions. See the Canon EOS Rebel T6iCanon cameras have been around for eons and there’s a good reason for that. In a lot of cases, Canon DSLRs set the standard for much of the competition, the EOS Rebel T6i (a.k.a. EOS 750D) included. What I like about the Canon T6i as an entry-level DSLR is its user-friendly factor. Despite all the extra features and functionality, the transition from a smartphone or compact camera is painless. The T6i doesn’t have any sensor-based image stabilization (IS). There are, however, 89 lenses that have optical image stabilization (OIS). This OIS also helps to keep handheld photographs blur-free. For the price, the maximum 5.0 fps shooting speed of the Canon T6i is impressive, and so is the fastest shutter speed of 1/4000 seconds. And transferring photos to other compatible devices is simple. This is all thanks to the built-in wireless connectivity. This camera is great for indoor style vlogging when mounted on a tripod. You will get to enjoy professional looking video with a resolution of 1920 x 1080 at 30p, 25p, 24p frames per second. The Canon EOS Rebel T6i DSLR has a built-in flash. If you want more control over your flash photography you can simply mount an external unit using the camera’s flash sync port. What reviewers have to say about the Canon T6i? As you can imagine, there are plenty of reviewers who are only too happy to give their opinion on the Canon EOS Rebel T6i. Although you’ll find a few gripes, the vast majority of people are very happy. A lot of those who buy and review this camera are at the entry-level. Most are amazed at the major improvements with the T6i over their smartphones and other point-and-shoot style cameras. The impressive image quality is a major talking point, but you don’t have to take my word for it. Go onto any review site like Amazon and view the uploaded photos for yourself. Serious video buffs are not overly impressed. It’s still pretty good for the money, and general vlogging use. For ultra-HD movie quality video, the critics should have opted for a camera with 4K resolution. The general consensus for the Canon EOS Rebel T6i is that it’s a great choice for DSLR virgins, and I agree with that. It looks good, feels great, and handles well. Despite this praise there are a few minuses, and we’ll take a look at those in a while. What’s good about the Rebel T6i? The camera’s 24.2MP APS-C CMOS sensor ensures fine details and sharp, natural-looking images. And the T6i’s advanced AF system results in fast, accurate focus on any subject, still or moving. The articulating screen lets you compose photos at odd angles without having to worry about potluck. The face-detection focusing and external mic port add further to the T6i’s overall appeal. At just 555g this is quite a light camera compared to some of the competition. In the photography world, lightweight is a welcome feature as long as the camera is robust and rugged. Other impressive features include the touchscreen and the optical built-in viewfinder. The 19 cross type focus points, WiFi and NFC connectivity, are other pros worth noting. What could be better with Canon’s T6i? I think the Canon EOS Rebel T6i is the perfect beginner DSLR—for the money. The cons of this camera are things you might expect considering what you actually do get for the money. There isn’t any image stabilization (IS), but there are plenty of lenses that come with optical image stabilization (OIS). Out of the two, there’s barely any difference in the end results. At just 440 shots per charge, the T6i falls short on battery performance. You certainly wouldn’t want to go out on a shoot without taking spare batteries with you. No environmental sealing means you have to be careful in bad weather and dusty conditions with the Rebel T6i. Finally on the cons, having no AF micro adjustment will be an issue for some photographers. The Nikon D3300 is another great entry-level DSLR that’s made it to my top 10. There are a number of reasons why the Canon beat it to the top slot. The T6i’s flexible shooting positions and easy-to-use touchscreen are two. The Rebel also has smartphone connectivity. It’s selfie-friendly too, and sports 18 more cross type focus points compared to the D3300. The Nikon does have a few things to offer over the T6i though. At just 430g, the D3300 is considerably lighter than the EOS Rebel T6i by 125g. The Nikon is lighter on the pocket too, costing somewhere in the neighborhood of $300 less. Finally, the Nikon D3300 gives 700 shots per battery compared to the T6i’s measly 440. If you’re on a tight budget, consider the D3300. If you’re happy to pay more, I’d still suggest the canon T6i. How has the Canon Rebel T6i improved on its predecessor? There’s more to the Canon T6i than just a new product number. Compared to its predecessor, the T5i (and the T5i’s lens selection here), the updates have been substantial, starting with the brand new 24.2MP sensor. 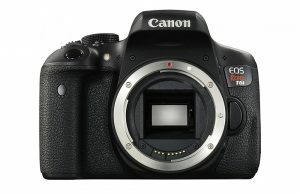 The T6i also sports an upgraded 19-point AF system and a faster DIGIC-6 processor. To put that into layman’s terms, it simply means the camera performs better and produces superior images. From an ergonomic perspective there’s no change and there doesn’t need to be. As the saying goes, “If it ain’t broke, don’t fix it.” Both these cameras are comfortable to hold and easy to operate. The T6i is a blend of Canon’s finest DSLR characteristics with a few new features. The end result is a beautiful, well-rounded Digital SLR that offers even more to the beginner than its predecessor. See the Nikon D3400I would say the D3400 is Nikon’s flagship DSLR at the entry level. It has a host of useful auto-shooting modes which means you can pretty much start taking great photos right out of the box. The Bluetooth Low Energy (BLE) connectivity is a welcome feature. Today, people expect to be able to transfer files between their compatible devices. Nikon dubs this convenient technology SnapBridge. A nice feature with the Bluetooth Low Energy is that you can back your files up to Nikon’s free Image Cloud. BLE uses less battery power than conventional WiFi too—a major plus point in my book. The large grip and its 395g lightweight make handling the Nikon D3400 a joy. Being fairly compact and not very heavy means it’s easy to carry this DLSR around. This is important when out on long shoots. The buttons and dials are conveniently located on the side of the large 3″ display screen, so they’re easily accessible. Having no articulating screen or touchscreen, though, is a bit of a bummer. Another cool extra with this and other Nikon beginner DSLRs is the Guide Mode. It’s a practical feature that walks you through using easy-to-follow instructions on how to use all the camera’s settings. The reviewers I focused on the most with Nikon’s D3400 were the genuine entry-level DSLR novices. These are the real end users whose opinions matter. There are lots of people with plenty to say too. Most of those who bought the D3400 are folks who have upgraded from the Smartphone or compact camera. There’s a lot of talk about the great image quality, value for money, range of compatible D3400 lenses, and ease of use. You can always spot happy campers with new cameras by their willingness to post their photos online for all to see. You can find endless samples for the D3400, especially people and animal shots. Another key point that thrills beginners is the continuous shooting mode with a maximum speed of five fps. There’s also the 1/4000 sec maximum shutter speed—great for stopping fast action in its tracks. No one’s talks much about the D3400’s more than adequate video. This suggests those who buy the camera want it more for its impressive photographic potential than its audiovisual features. There were a few gripes about the effectiveness of the Bluetooth Low Energy (BLE) connectivity. These are few and far between so it could be user-error or malfunction. We’ll look more into most common weaknesses of the D3400 shortly. What’s good about the Nikon D3400? Nikon’s D3400 24.2 megapixel (APS-C) CMOS sensor helps to produce impressive, sharp, high-resolution images. The cameras big 3″ display makes the photography experience both fun and easy. The Optical built-in viewfinder (OVF) is another major plus for the D3400. It means you can turn off the display screen and save on the battery. It also makes outdoor shooting easier on bright days. Another battery saver is the built-in Bluetooth connectivity for smartphone file transfer. And if you like panorama photography you’ll love the Nikon D3400’s Panorama shooting mode. It’s true—this camera’s not a videographers dream. Nonetheless, the 1920×1080 max video resolution offers great average video for anyone who’s wants to record moving pictures. Other major pros are the compact design and the 395g lightweight body. As for the ultra-long battery life of 1,200 shots, well, that’s something the competition can only dream about. There are a few other plusses that help to enhance the photographic results. We have face detection focusing, 25.600 Max ISO (good for low light photography), and the 11 focus points. What could be better with the D3400 Digital SLR? There are three useful features missing from the Nikon D3400 (see below). These are quite typical for entry-level DSLRs, though they would be much better cameras with them. There’s no image stabilization (IS) with this camera, which is a shame. There are 86 of the 271 native lenses that offer optical image stabilization (OIS), which also helps produce sharp, handheld imagery. Environmental sealing is also missing. This is particularly disappointing for people who shoot a lot outdoors, in bad weather or dusty conditions. It means you have to be extra protective of the camera. Outdoor photographers who shoot in all conditions will at least want to consider those weather-sealed native lenses. It’s not full camera protection, but it’s better than nothing. My final con is the absence of an articulating screen. Being able to adjust the screen is useful for low and unusually high angle photographs, and others that put the camera in an awkward position. How does the Nikon D3400 compare to the Canon Rebel EOS SL1? So how does the Nikon D3400 measure up to my next pick, the Canon Rebel EOS SL1? Well, if long battery life is high on your list of priorities, you get an extra 820 frames per charge with the D3400. The Rebel SL1 body is pretty light at just 407g, though the D3400 is slightly lighter. Another advantage with the Nikon is that its max sensor resolution offers 33% more pixels. The D3400 also sports two extra focus points and has a continuous shooting mode that’s 1fps faster than the Canon SL1. The Nikon’s flash range reaches further too, by as much as 2.6m. Where the Canon Rebel EOS SL1 wins over the Nikon D3400 is that it has a touchscreen, a slightly better resolution LCD screen and a microphone port. It’s a bit cheaper too, by around $50. How has Nikon’s D3400 improved on the older D3300? At a first glance you won’t notice any difference between these two cameras. But dig a little deeper and you’ll find some praiseworthy upgrades that are worth noting. Nikon’s SnapBridge technology is the biggest upgrade. It allows you to wirelessly transfer all your images and video footage. Just connect the camera to your smartphone via Bluetooth Low Energy (BLE) connectivity and voila. Another great feature is the boost to the battery life by up to 700 shots per charge. The third upgrade is the weight, with the D3400 being 35g lighter than the D3300. So are the new connectivity options, improved battery life, and lighter weight worth an extra $50? That’s a question that only you can answer. See the Canon Rebel EOS SL1The third of my top picks is the Canon Rebel SL1, a.k.a. the Canon EOS 100D. Despite being an easy-to-use beginner DSLR, the SL1 includes some impressive features. The first thing I noticed about this camera was how small it is. The ultra-compact body of the Rebel SL1 will be a key feature for some, but for others it will feel too small in the hands to be comfortable. The AF motor is incredibly quiet, barely audible, in fact. It’s perfect for close-up work of living things. It also means the camera’s internal mic won’t pick up any AF noise, which’ll please the videographers. The high-resolution, 3-inch, LCD touchscreen display dominates the back of the camera. There are a few essential, streamlined controls at your fingertips too. A major disappointment is the SL1’s poor battery life of just 380 shots, which is well below average. Each of my top picks in beginner DSLRs has its own pros and cons. You don’t have to worry though. I present you with both sides in these reviews to help you make better informed decisions. Reviewers who write nice things about this camera are in love with its compactness and light weight. The small size and lightness will make or break a lot of people’s decision to buy—or not. Some praise this as a great family camera. This is because it has plenty of big camera features, yet it’s easy to store and carry around. Still, you’ll want to take extra batteries with you on those day outings. A few adult reviewers bought the Canon Rebel SL1 for their kids, who obviously wanted something more than their smartphone or compact cameras. The size of the SL1 is appealing to smaller hands. There are comments on how good the video is, and with 1920×1080 video resolution at 30, 25, 24 fps, it’s not bad. But you wouldn’t buy the SL1 mainly for its video, nor would it satisfy serious videographers. Overall, the reviews for the Canon Rebel SL1 are favorable, though it’s not without a few limitations. You can read more about the camera’s cons further down the page. The SL1 has an impressive 18.0MP high-resolution sensor that delivers beautifully detailed photos. The lightweight 407g body and compact size makes this a very good beginner’s camera. The ‘Scene Intelligent Auto Mode’ is an automatic feature that does everything for you, other than point and shoot. It first analyzes the scene and then it sets the optimal settings. Another great thing about the ‘Scene Intelligent Auto Mode’ is that it automatically adjusts the focus if the subject moves (great for fidgety kids). There’re also the new ‘Special Scene’ modes to boot. This is not a highly technical guide, but if you’re into tech specs there’re a lot of fine features you might want to read up on. For this review, we’ll keep things simple and look as some other key points. If you want a touchscreen, you’ve got it with the Rebel SL1. And the camera’s ‘Face Detection Focusing’ will help to improve your portraiture photography by leaps and bounds. If video interests you, the SL1 provides recording features that are more than adequate for average expectations. There’s also an external mic port for enhanced sound quality, which’ll please vloggers. A few other pros include the optical built-in viewfinder, 25.600 max ISO, 1.040k dots LCD resolution, and one-cross type focus points to help produce consistently better results. What could be better with Canon’s Rebel SL1? Some would argue that an increase in the camera’s dimensions would be an improvement. However, this new compact size is the purpose of the SL1. It’s something that either works for you or it doesn’t. Having no image stabilization (IS) makes handheld shooting trickier. The good news is that there’re 89 available lenses that offer optical image stabilization (OIS). The absence of an articulating screen is another shortcoming for the Canon Rebel SL1. Adjustable screens are useful as they make shooting at awkward angles (high and low) so much easier. There’s no wireless connectivity with the SL1. If WiFi connectivity is something you’d prefer in a DSLR, check out the other options in this guide. The short 380-shot battery life is another disadvantage. How does Canon’s SL1 compare to the Canon T6? Let’s compare the Canon’s SL1 to another popular Rebel, the Canon T6, also in this guide. One of the winning features for the SL1 is its touchscreen—a technology many people demand these days. The Rebel SL1 enjoys more viewfinder magnification than the T6. This is something that provides a bigger view of the photographic scene through the camera’s eye-level viewfinder. With the SL1 you also get faster JPEG continuous high-speed shooting (burst mode). It boasts better low-light flexibility too. This is something to consider if low-light photography is part of what you do. Canon’s Rebel SL1 doesn’t win hands down though. The T6 has wireless connectivity. It also boasts NFC which simplifies pairing the camera to a supported smartphone. The T6 enjoys longer battery life too, and it’s a newer model than the SL1. Which of these cameras is a better match for you depends on the features you need, your budget, and your personal preferences. How has the SL1 improved on the previous model? The predecessor to the Canon EOS Digital Rebel SL1 was the Rebel T4i. The idea was to present a feature-packed powerful camera into a much smaller body. So did they do it? Yes, they certainly did. Canon managed to launch what was the most compact of all DSLRs on the market at the time. The Rebel SL1 was not only 35% smaller than the T4i—it was around 28% lighter too. Despite its smaller size, the SL1 still has a decent Canon-style grip. The major downside for some people, particularly men, is that it’s too small, especially for guys with large hands. The SL1 has three more shooting modes than the T4i. And the new Hybrid CMOS (AF II) sensor is amazing. But the T4i has Stereo video and a Wind Noise Reduction feature for recording sound. OK, that’s my top three picks for best entry-level DSLR cameras. If you haven’t made your mind up yet, my seven shorter—yet still informative—reviews below are a must-read. See the Nikon D5600It’s easy to see why the Nikon D5600 DSLR camera made it onto this list just by glancing through some of the above features. This is what I call a capable and advanced beginner’s DSLR camera. What I love about the D5600 is the fact that it checks a lot of the right boxes for the entry level. You get brilliant image quality, a nice comfortable handgrip, decent AF, and a touchscreen. Overall, I counted 22 valid reasons why the Nikon D5600 makes a great beginner DSLR. It’s not the cheapest though, which is one of the downsides, but you do get a lot of bang for your buck. Reviewers like the Nikon D5600 DSLR, but there are some who complain it has too much going on. They think its many features and options complicate it as a beginner’s camera. They do have a point. The general consensus, though, is that this is a very capable DSLR that does exactly what it promises on the box. Another much-liked feature by users is the camera’s impressive low-light capability. A lot of reviewers refer to the picture quality as awesome, and other such adjectives. And almost everyone who writes about the D5600 seems very pleased with its touchscreen interface. What’s good about the D5600 as a Beginner DSLR? The articulating screen is a key feature for taking photos low to the ground, high up, or at difficult angles. The special effects modes offer lots of photographic and video possibilities—perhaps too many. There’s no shortage of connectivity options with the D5600. You have built-in WiFi, NFC, and Bluetooth. The camera’s touchscreen and easy-to-navigate menus are also welcome features. Other major plusses include the small, lightweight body and the external microphone port for enhanced audio (perfect for serious vlogging). There’s also the fairly long 820-shot battery life. What could be better with this Entry-Level DSLR? This is yet another beginner’s DSLR that doesn’t have environmental sealing. The absence of this defense feature means you have to be extra careful to protect the camera in bad weather conditions. There’s no sensor-based image stabilization (IS) either. You can choose optical image stabilization from 86 native lenses though. Having no autofocus micro-adjustment (AFMA) is another downer. See the Sony Alpha a68 A-MountLooking at the low points above, you may wonder why this camera’s made it onto my list. The answer is simple: it still has a plethora of great features. It’s smooth, it’s fast, and it’s reliable. The Sony a68 comes with all the essentials for great photography. It has an exceptional electronic viewfinder too. It looks good and feels great in the hands—a crucial point when shortlisting options. After going through the entire range of pros and cons, I would say the Sony a68 is an outstanding entry-level DSLR. It works particularly well for portrait, street, and sports photography. What reviewers have to say about it? 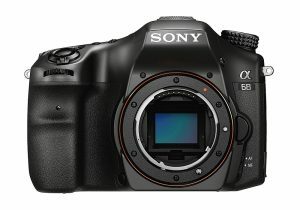 Reviewers seem to love the Sony a68 despite its setbacks. This is probably because they’re viewing it for what it is, which is a well-priced beginner’s DSLR that can’t possibly include everything. Although there is a plethora of features, people agree that it’s an easy-to-learn camera—unlike some. Most people rave about the great image quality, and that’s exactly what you need to hear. One of the few complaints I picked up was the absence of weatherproof sealing. This is unfortunate, though the Sony a68 is certainly not alone on this. Let’s hope the camera manufacturers are listening. I’ve listed the a68’s most common drawbacks after the next section. What’s good about Sony’s a68 DSLR? There’s a lot that’s great about the Sony a68, things that make the cons much less of an issue. The long battery life and superb imagery are convincing enough on their own, but there’s more. The camera’s 1:24.2 MP 5 APS-C Exmor® CMOS sensor and BIONZ X™ engine sound complicated. Just know that they give us super-smooth image quality with barely any noise and high ISO sensitivity. Image stabilization, articulating screens, and electronic built-in viewfinders are all sought-after features. The a68 has them all. There’s panorama shooting too, and a top LCD display panel. Here are a few other key features worth a mention: AF micro-adjustment; face detection focusing, and 8.0fps fast continuous shooting. There’s an external microphone port as well, and a flash sync port. You’ve got a remote control option for a smartphone and plenty of other quality features and shooting modes to explore with the Sony a68. What could be better with the a68? All entry-level DSLRs have their cons, which are mostly missing features. With the a68, the biggest letdown is the absence of built-in WiFi. This is one of those things people expect to see these days. The missing touchscreen is another downer. You don’t need a touchscreen, but like the WiFi, people have come to except it on modern electronics, including Digital DSLRs. At 610g, the body of the Sony a68 is pretty heavy compared to some of the competition. One more criticism is the smallish LCD Screen of just 2.7″, and low screen resolution (460.8kdots). Like many of the entry-level DSLRs, the a68 doesn’t have environmental sealing. This means you have to be extra careful in protecting the camera outdoors in bad weather conditions. 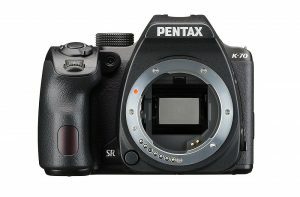 See the Pentax K-70The Pentax K-70 is a good all-round Digital SLR for beginners. What I like most, aside from the impressive features, are the nice ergonomics and comfortable handling of this camera. The K-70 is a great outdoor camera too, thanks to its weatherproof and dustproof protection. Note that this valuable protection is not something you find on all entry-level DSLRs. If capturing fast action and sports photography is your thing you’re in luck. Check out the super-fast shutter speed with this digital Pentax. There are a few gripes with the Pentax K-70 and we’ll go over those in a while. Overall though, this is a very capable camera. It has a nice rugged build and it should more than please any serious beginner. What reviewers agree on with the Pentax K-70 is the value for money aspect. If you need all the features and customization options this camera offers, then you’ll get a lot of bang for your buck. For the money this is a first-rate DSLR, and reviewers praise its image quality. Photographers love the fact that you can shoot in all weathers with an attached lens that has weatherproof sealing. I couldn’t find any shared negative review points with the K-70. The couple of unenthusiastic comments seemed like malfunctions or user ignorance, so I have no authority to comment on these. What’s good about the Pentax K-70? There’re plenty of good things to say about the K-70. It didn’t make the #1 slot because of the limited range of weather-sealed lenses and a couple of other cons, which I cover further down the page. This camera offers a range of functional customization options so you can make your K-70 personal. For example, you can customize your preference of menu items and the order in which they appear. There’s the option to assign one of seven custom functions to the camera’s FX buttons. You’ve got built-in wireless connectivity as well. Even though people expect WiFi today, not every DSLR has it. The advanced 24 megapixel CMOS sensor helps to produce crisp, natural-looking photos with fine details. The camera’s image stabilization is invaluable for anyone who does lots of handheld shooting. This camera has an articulating screen, top LCD display, good weatherproof sealing and a flash sync port. These things can take your photography to the next level and make taking pictures a real joy. The optical built-in viewfinder is a useful feature. There’s also face detection focusing, 1/6000s high shutter speed, and time-lapse recording. The K-70 gives you 6.0fps fast continuous shooting mode. For video buffs there’s the 1920 x 1080 max video resolution, which is more than adequate for all but the most serious videographers. You can save the footage in MPEG-4 and H.264 formats. If you take the price and all the features packed into the Pentax K-70, there’s not that much to complain about. There isn’t a touchscreen though, and that is something that’ll put a few people off. My biggest gripe is with the low battery life, which gives around 410 shots per charge. A lot of people buy this camera for outdoor shooting, so you can’t leave the house without spare batteries. The camera body is quite heavy at 688g. Once you’ve got a lens attached you’ll soon feel its weight around your neck. This is a major con for a camera that’s an otherwise great travel companion. Weight aside, the 74mm wide body is quite big. It feels okay to hold, and handles really well, but it could prove too much for folks with smaller hands. It’s just something to think about, that’s all. See the Nikon D5300This is not Nikon’s only entry-level Digital SLR, but it’s still a worthy contender. It’s an affordable camera, ideal for those who want to move their photography away from smartphones and compacts. The Nikon D5300 is another of those user-friendly DSLRs. That means even the novice can quickly get to grips with all the camera’s functions. The layout of the controls is nice and simple too. Excellent photo quality is a given, along with an impressive set of features and fast performance. Photographers like the viewfinder on a camera in this class, and its higher-resolution LCD screen. The Nikon D5300 Digital SLR is perhaps one of the best value-for-money cameras, but it’s not without a few faults. We’ll look at its most obvious cons shortly. What reviewers have to say about Nikon’s D5300 DSLR? This is perhaps one of the most reviewed entry-level DSLR cameras in its category. There are plenty of opinions too, mostly good. Excellent value is one of the most commonly shared thoughts by reviewers. Superb image quality is another area that people want to convey to the world, and they’re right too. 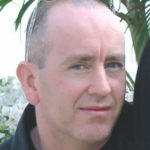 Some reviewers like to post their photographs online to prove the point. There’s praise for the video capabilities too, but most reviewers bought this camera mainly for still photography. Serious videographers would expect better quality than what the D5300 can offer. Reviewers like the camera’s easy handling, flip-out screen and decent battery life (see below). A few folks thought it was a tad big for their hands, but other than that, no one’s complaining. What’s good about the D5300? The D5300 has an optical pentamirror viewfinder. This weighs less than a pentaprism, so it contributes to a lighter camera. The pentamirror is cheaper than the pentaprism too, thus keeping costs down. If you take, or intend to take, a lot of photos, you’ll love the larger than average 3.2″ fully-articulated screen. It also makes taking photos at awkward angles a cinch. The built-in GPS is great for anyone who wants to add geotags to images. The Nikon D5300 comes with built-in Wi-Fi connectivity as well, making it easy to transfer photos to your compatible devices. The 600 shot battery life is far from exceptional but it’s still better than a lot of the competition. The external microphone port is a valuable feature for recording high-quality audio with video. A few other plusses to mention are the top LCD display, the selfie-friendly screen, and the time-lapse recording. Now add the 480g lightweight body to the mix and you have a real winner in your hands. What could be better with the Nikon D5300? The D5300 doesn’t have any image stabilization (IS). This is not an issue for tripod and monopod users, but it can mess some photos where the user does lots of handheld photography. Around 86 of Nikon’s lenses do have optical image stabilization (OIS), so you may want to look at those as a solution for the absent IS. The D5300 camera body isn’t weather-sealed. This is a setback for outdoor photographers who like to shoot in wet or dusty conditions. Note that there are 53 or so lenses that come with weather sealing. See the Canon Rebel EOS T6We’ve looked at Canon’s T6i, now we’ll review the Canon Rebel EOS T6, which replaced the Rebel T5. This is another budget-friendly DSLR. 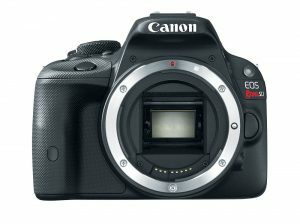 By the way, it’s called the EOS Rebel 1300D outside the US. The T6 is another of my reasonably priced options of entry-level DSLR. Affordability does come with a few setbacks, and we’ll get to those later. Overall though, this is a great camera for the price. I have to say, the upgraded 3″ 920k-dot screen makes using the simple menus and viewing stored images a nice experience. The built-in Wi-Fi and NFC technology are also welcome features of the T6. Although I don’t find this a particularly exciting entry-level camera, I do view it as a good solid option if it checks enough of the user’s boxes. Overall, the T6 offers decent ergonomics and easy handling. There are a few cons as you would expect for a Digital SLR in this price range. Whether these missing features matter depends on your expectations as a photographer. We’ll look at these negatives soon. Reviewers rate the EOS Rebel T6 in a favorable light as a great and affordable beginner DSLR. The Wi-Fi is a prized feature. Users tend to prefer to view their photos on larger smartphone screens. This camera is popular with younger photographers in particular. In general, people who shoot more everyday type photography favor the T6. These are observations I picked up on review sites. Other plusses that reviewers enjoy are the camera’s small size, light weight and easy handling. These are things that make it an easy camera to carry around or put out of sight when you’re not shooting. People comment on how happy they are with the quality of both still images and video for a camera in this class. Photographers are also content with the range of automatic and manual modes. What’s Good About the T6? Framing and capturing your subjects is easy thanks to the T6’s high-performance optical viewfinder. It allows you to quickly focus on the object with accuracy, even in unfavorable lighting conditions. Canon’s decent sized 3″ LCD monitor with 920,000 dots lets you scrutinize your handiwork in detail. The wireless and NFC connectivity is popular for transferring your photos to other electronic devices. The problem with some entry-level DSLR cameras is that they’re too heavy and bulky. You don’t have this problem with the Canon T6. It’s very portable thanks to its 485g light body and smallish build. Some of the plusses in areas of image quality include the 18.0mp, high resolution sensor, 12.800 max-ISO, and face-detection focussing. There’s also a flash sync port—used to connect an external flash. What could be better with the Canon Entry-Level DSLR? Overall, I’d say Canon’s EOS T6 is excellent value for a beginner SLR, and for the money you can’t go far wrong. However, if it’s missing some features you need, then it can’t be on your shortlist. The T6 doesn’t come with Image Stabilization (IS), but 89 of Canon’s 283 native lenses have optical image stabilization (OIS). Another negative is that the body doesn’t have environmental sealing. Given the choice, most photographers prefer a fully-articulating screen. And almost everyone wants a good-sized touchscreen. The T6 has neither of these. They’re not essential, but they are convenient. Finally, the Canon T6 only has nine focus points. Having more focus points is useful when there’s a lot going on at once. The slow 3.0fps is another of the T6’s most notable cons. See the Nikon D3300We’re back with Nikon, this time it’s the D3300 Digital entry-level SLR. It sits below the D5300. I would say that this is just about the most user-friendly beginner DSLR there is. The photo quality of the Nikon D3300’s is an improvement on its predecessor. Overall, this affordable beginner DSLR is a great performer for a camera in its category. I find the absence of an adjustable LCD screen a bit of a letdown. This is not really something that’ll bother those of you who don’t shoot at unusual angles though. Compared to the older D3200, image quality is better with this model. The photos seem to be notably sharper and the colors nice and accurate. This camera is a worthy contender for DSLR virgins. Reading through all the reviews, the impression I get is that people are more than happy with the cameras’ simplicity. They also like the advanced options, available for those who want more control. The way a camera feels in a photographer’s hands is as important as its performance and all its bells and whistles. Well, good handling is right up there on top of reviewers likes. People new to DSLR photography seem amazed at how fast they become comfortable with the Nikon D3300. The price, image and video quality, and user-friendliness, are all common compliments. What’s good about the Nikon D3300? The Nikon D3300 has the new and exciting EXPEED 4 processor for improved image quality. It also helps the battery to last longer, enhances operational speed, and improves low light performance. Nikon’s excellent Guide Mode makes it easy for you to learn about the camera and take great photographs. And the camera’s 430g light body makes handling the D3300 nice and easy. The optical built-in viewfinder is another useful feature. Using this not only helps to save battery life, it also makes focusing on your subject easier. The camera is steadier when held at eye-level too. The Nikon D3300 has a longish battery life at 700 shots per charge. It’s not exceptional, but it’s a lot better than some of the competition. The Canon SL1, for example, is just 380 shots per charge. Other plusses are the high resolution sensor, panorama shooting, and face detection focusing. The camera also has an external microphone port—useful for recording high quality audio. People demand wireless connectivity these days, but Nikon’s D3300 doesn’t offer a built-in solution. There are other familiar cons too, things that are typically missing from a few beginner DSLRs. The D3300 doesn’t offer sensor-based image stabilization (IS). However, you can choose lenses from Nikon’s 86 native options that come with optical image stabilization (OIS). Another disappointment for some is the missing articulating screen. If you’re used to using adjustable screens, you won’t want to be without one. There’s no touchscreen feature with this camera either. Finally, the D3300 isn’t weatherproofed. Environmental sealing is a feature that outdoor photographers look for in a DSLR. It’s especially important for those who like to take photographs in harsh climates. The high points: Built-in wireless, NFC connectivity, image stabilization, articulating screen, top LCD display, environmental sealing, face detection focusing, external microphone port, and more. See the Pentax K-S2If you want a feature-packed camera at an affordable price, you’ll definitely want to consider the Pentax K-S2. It has all the features that other entry-level DSLRs don’t—aside from the Pentax K-70. The K-S2 has got so much going for it you may wonder why it’s not at the #1 slot. There are good reasons for this that you can read about in the cons section later. For now, let’s look at its good points. I would say this is a perfect still photography camera, but mainly for the more advanced beginner. See, one of the downsides to having lots of semi-pro features is that there’s a lot to learn. This Pentax produces beautiful still images, and even the harshest critics wouldn’t dispute that. But if you want high-quality video as well, then you’ll want to skip this camera for something else. I noticed that lot of people who reviewed this camera were diehard Pentax lovers so their opinions are somewhat biased. Amateur DSLR reviewers agree there’s a lot to learn, but it hasn’t deterred them. On the whole, people seem impressed. They like the small size, lightweight body, easy handling, and full range of impressive features. Reviewers also consider the K-S2 excellent value for money. 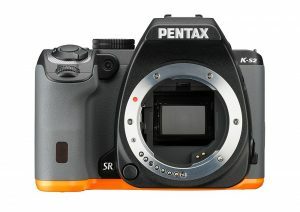 What’s good about the K-S2 DSLR by Pentax? If you’ve read through all the reviews on this page, you will notice how much this camera offers that the others don’t. Its 20 MP, AA filter-less CMOS sensor lets you capture truly amazing images. I like the ‘User Customization’ option on the K-S2. You can even register the various settings for User1 and User2. This personalization feature is great if you share your camera with someone else. It also sports a glass prism finder which has 100% FOV (Field Of View). This is amazing considering the small size of the camera. There’s a nice top LCD display panel too. Do you want a camera that has image stabilization (shake reduction or SR), and an articulating screen? What about environmental sealing and face detection focusing? You’ve got it all with the K-S2. This camera has an external microphone port, essential for recording high-quality audio. There’s also time-lapse recording, 5.4fps continuous fast shooting, and wide AE bracketing range. Now that self-portraiture is routine, you’ll be happy with the K-S2’s selfie-friendly LCD screen. These are just some of the major highlights, but there’s more to explore if you decide to shortlist the K-S2. What could possible be better with the Pentax K-S2? I’m sure you’ve been impressed while reading about the Pentax K-S2’s pros. You might even be wondering what could possibly be better with this camera. Well, I’ve said it before and I’ll say it again: there is no one-size-fits-all with any camera, the K-S2 included. The main disadvantage—as a beginner’s DSLR—is that there’s a steep learning curve. Most people who move away from the smartphone or compact camera don’t want a lot of fuss. They’re looking for a nice, easy-to-use DSLR that’s pretty much ready to shoot right out of the box. The semi-pro Pentax K-S2 can be overwhelming for the complete beginner, so that’s something to think about. This camera also has a low battery life, providing only 410 shots per charge. Another con is the absence of a touchscreen. Most of us today navigate our electronic devices using this popular display technology. You don’t need it on a DSLR, but you might want it. The final gripe with the Pentax K-S2 is the weight of its body. At 678g (1.49 lb.) there are much lighter alternatives. If you want a good travel camera, you may want to look for something that weighs less. Choosing your first DSLR can be a daunting experience. My top pick was the Canon EOS Rebel T6i because it checked a lot of beginner boxes, but it’s not the only one, and it may not be your choice. The Rebel T6i is durable, it’s reliable, and it’s user-friendly—the kinds of things a beginner looks for in their first DSLR. It also has a useful articulating screen, built-in WiFi, NFC connectivity, and more. But cameras can be very personal items. Not everyone wants or needs the same features, and not every camera feels the same to all hands. It’s why we have 10 of the best beginner DSLRs here. If you want a wide range of features, a camera packed with tech and user customization, maybe the Pentax K-S2 is your first choice. But if you want the best video too—this camera won’t work for you. I chose the Nikon’s D3400 for those who want a light camera (it’s just 395g) for longer shoots. With its incredible 1200-shot battery life, I consider this the ultimate travel companion. I say this even though it doesn’t have environmental sealing. The point I’m making is that the order of my top 10 might not be your order. Despite this, I’m sure that most, if not all, of the same cameras would be on your list somewhere. Make a note of your most sought-after DSLR features. You may have to sacrifice one thing for another, so be certain. Think about what you need (must have), and what you would like (less crucial). With the help of this guide you should now be in a much better position to narrow down your choices and find the camera that’s perfect—for YOU. I don’t know if it is available but I think wifi connectivity of some kind is a ‘most important’ thing today. Low end cameras have it sometimes. Smartphones have taught us the value of it – instant comms, instant back up and safe keeping of pics, instant head office receipt of work related pics, data pics. Thanks for this detailed post. It will be helpful for many new vloggers. I am using the Canon Rebel EOS SL1 for my blogging use. It solves almost all my requirements. I just bought the Nikon D3400, and am curious, do you ever take prime lenses when travelling? I’ve seen some amazing travel pictures taken with Nikon D3400. Amazing blog, keep up the great work!